It had remained tucked away (under lock and key, and guarded by pearl-handled revolver under Eric Pickles) for what had felt like so long but Pandora’s Box has been opened. As we hurtle towards the latest round of elections, it was the outcome of last year’s general election that appeared to put any hope (or fear, depending on your point of view) of local government reorganisation on hold. Before last year’s election, Local Government Association chair Lord Porter (Con) had predicted Theresa May would need a Commons majority of at least 50 seats to get reorganisation proposals through. With the minority Conservative government vulnerable to backbench revolts, potentially politically complex reorganisation looked likely to be placed far down the list of priorities. Yet, Ms May, who has continually defied expectations by remaining in post and making progress on Brexit during her premiership, seems to have overcome the political odds on this issue too. Plans to abolish nine councils in Dorset and replace them with two new unitaries have since been approved. A proposal to create a single county unitary for Buckinghamshire is in the pipeline, while Northamptonshire looks set to be divided in two. So is this all down to a great desire from Ms May and housing and communities secretary Sajid Javid to be seen as great reformers? They might like to paint the picture that way. However, the common theme that links all of the three cases above is money or, more to the point, a lack of it. Northamptonshire CC’s financial failings have been well documented by LGC, but concerns about the future viability of councils Buckinghamshire and Dorset have also been noted. In February, Buckinghamshire CC’s leader Martin Tett (Con) warned his authority could become “nothing more than an organisation that does adult social care and children’s services” in the future. In an interview with LGC last week Matt Prosser, chair of the Dorset chief executive group, said the reorganisation of councils is “vital” to creating a more sustainable future for the sector in his area. Austerity is hitting budgets harder than ever now and with councils’ financial plans hampered by the uncertainty over business rates reforms something has to give at some point. 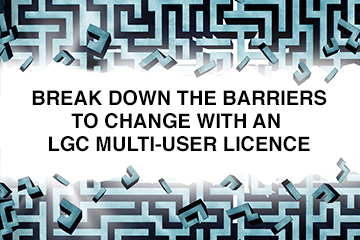 As the latest LGC research shows, discussions about reorganisation are now underway in earnest across many parts of the country, albeit at early stages. In many cases the financial threat to councils is driving these discussions. With budget cuts continuing and demand on children’s and adults’ services increasing, we should expect more proposals for reorganisation to emerge as councils struggle in the fight for survival. Just do not expect them to be without controversy. A survey commissioned by Buckinghamshire CC has surfaced suggesting limited public support for the county’s single unitary proposal.